IPL 2019 Highlights: Punjab win by six wickets. IPL 2019 T20 LIVE Cricket Score Updates: Hello and welcome to our live cricket blog of another exciting encounter of the lucrative Indian Premier League (IPL) between Kings XI Punjab vs Sunrisers Hyderabad. This is expected to be a cracker of a contest with both teams loaded with enough firepower and ammunition to lit the IS Bindra Stadium, Mohali with some enthralling display. Here is your destination for all the updates. 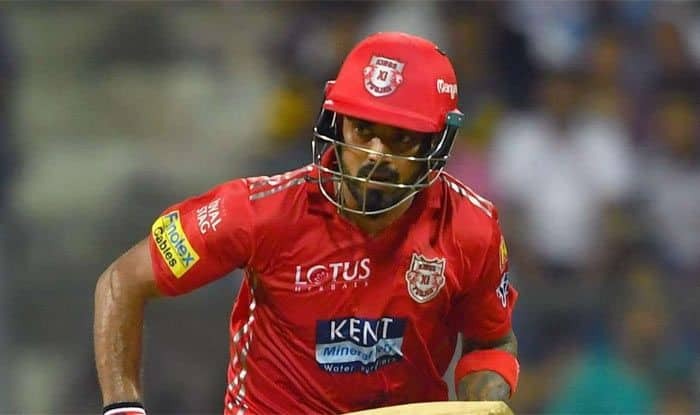 While KXIP has had a mixed journey so far in the tournament, winning three games and losing two, SRH were looking on a roll after the loss in their first game in Kolkata before Mumbai Indians (MI) pacer Alzarri Joseph halted them in their own home ground on Saturday. Big two points for Punjab as they go top of the table with equal eight points. KL Rahul’s timely knock starred as he delivered for his team. 11:37 IST: Punjab needs 11 runs in 6 balls. Nabi, only one, no its a couple. Nine off 5 balls. Right up there in the blockhole. Only a single. Players running everywhere. FOUR is that it, it has been his night. Two of two. 11:31 IST: Miller comes in, Sandeep needs a couple more. Rahul would like to remain unbeaten. OUT, Miller departs in the quest of finishing it quickly. KXIP: 137/1 in 16 Overs. Hush around the ground… Will they leave it till the end? Punjab need 13 runs in 9 balls. 11:23 IST: OUT, Mayank is gone for 55. He played a baseball shot as he tried to finish the game as early as possible. Shankar makes no mistake as he takes it easy. KXIP: 132/1 in 16 Overs. Punjab need 19 runs in 18 balls. 11:20 IST: Hyderabad is almost there, a SIX and a FOUR in the over of Sandeep. Mayank is proving why he is highly rated in the country. 13 off the over. KXIP: 132/1 in 16 Overs. Punjab need 19 runs in 18 balls. 11:10 IST: Punjab has been the better team and even Hyderabad would realise it. They were outplayed in all departments. DROPPED, Yusuf Pathan drops a dolly. KXIP: 119/1 in 16 Overs. Punjab need 32 runs in 24 balls. 11:06 IST: Sandeep in the attack. Rahul and Mayank are not taking risks as they realise they do not have to. Three of the over. KXIP: 111/1 in 15 Overs. Punjab need 37 runs in 30 balls. 11:02 IST: Seems like Rahul has played a timely knock ahead of the WC selection. He certainly boosts his chances with this performance. Last over for Rashid, big moment in the match. Three from the over. KXIP: 105/1 in 14 Overs. Punjab need 46 runs in 36 balls. 10:58 IST: Nabi continues, Hyderabad needs wickets in a flurry. Delicate, Rahul is toying with the bowling FOUR. KXIP:102/1 in 13 Overs. Punjab need 49 runs in 42 balls. 10:53 IST: Rahul and Mayank are doing it wonderfully. They are also putting the loose balls away. KXIP: 90/1 in 12 Overs. Punjab need 62 runs in 48 balls. 10:50 IST: Rahul and Mayank have got the 151 chase on track. They are cruising and do not need to do anything extraordinary. FOUR, Mayank is just shifting gears. SIX, Rahul times it perfectly. KXIP: 87/1 in 11 Overs. Punjab need 65 runs in 54 balls. 10:45 IST: Rashid Khan continues. Both the Punjab batsmen are chasing it well. They do not need to take risks now. KXIP: 69/1 in 10 Overs. 10:33 IST: Nabi continues. FOUR, Rahul picks the gap beautifully. This is sensible cricket. SIX, Mayank smashed it. Brings up the fifty as well. KXIP: 55/1 in 8 Overs. 10:30 IST: Powerplay is over, now it would be interesting to see the approach, Rahul, Mayank adopt. Both the players are ready to work the singles and twos. Four off the over. KXIP: 42/1 in 7 Overs. 10:23 IST: Nabi into the attack inside the powerplay. Can Nabi contain Punjab? He has bowled at an economy rate of 3.14 in the tournament. Mayank takes the aerial route and deposits it in the stands. SIX. KXIP: 38/1 in 6 Overs. 10:23 IST: Of the outside edge, but Rahul will pick FOUR. Good comeback, only seven off the over. KXIP: 30/1 in 5 Over. 10:15 IST: Big blow for Punjab, Gayle OUT. He was trying to take Rashid to the cleaners, only to fail. Mayank comes in to join Rahul. KXIP: 23/1 in 4 Over. 10:10 IST: If Gayle gets on a roll, things could end soon. SIX, as we speak. He makes it look ridiculously easy. Swing and a miss. Good comeback after the six, nine runs of the over. KXIP: 18/0 in 3 Over. 10.05 IST: Gayle is in the zone. FOUR. Sandeep is looking to keep it tight, but keeping Gayle calm is difficult. KXIP: 9/0 in 2 Over. 9:40 IST: OUT, Manish Pandey departs. FOUR, it is streaky, but Hooda will take that with both hands. FOUR more, consecutive boundaries, just what the doctor ordered for Hyderabad. SIX to end. SRH: 150/4 in 19 Overs. 9:36 IST: TOO CHEEKY… FOUR, Manish Pandey uses the pace of the ball to play it over short third man. 50 partnership up. FOUR, off the edge. SRH: 135/4 in 19 Overs. 9:34 IST: Warner is on a roll, he has now found the rhythm and the timing. Warner is coming hard at everything now. Hyderabad would be eyeing a total around 140-150. SRH: 124/3 in 18 Overs. 9:25 IST: Boundaries is what SRH are after. Warner has just brought up his slowest IPL fifty. Shami continues. Two boundaries already, Warner is getting a move on. 12 off the over. SRH: 116/3 in 15 Overs. 9:10 IST: OUT, Mujeeb is runout and Hyderabad in deeper trouble. FOUR, Warner has he broken the shackles? Manish Pandey comes in. SRH: 86/3 in 14 Overs. 9:05 IST: FOUR, vintage Warner there, reverse sweep is what he pulls out from his arsenal. 10 off the over. SRH: 80/2 in 13 Overs. 9:00 IST: Hyderabad needs quick runs. Warner has to be the one. He has an orange cap and that is a testament. Curran is doing a good job. Eight off the over. SRH: 70/2 in 12 Overs. 8:58 IST: OUT, Shankar is gone as Ashwin strikes. Mujeeb comes in for a reason but will he be able to up the ante. SRH: 61/2 in 11 Overs. 8:46 IST: Ashwin is here. This is a very unlike Warner innings. Warner is still happy to pick up the singles. Punjab team owner Preity Zinta is at the venue. Six from the over. SRH: 43/1 in 9 Overs. 8:40 IST: Mujeeb has been brought back. Ashwin has been a proactive captain. Warner is unable to break the shackles. SRH: 37/1 in 8 Overs. 8:29 IST: FOUR, first for Warner, clips it off his legs and gets a much-needed boundary. Seven from the over. SRH: 25/1 in 5 Overs. 8:22 IST: Mujeeb was bowling very well, but he has been replaced by Mohammed Shami. Warner should like pace on the ball. It looks like a tricky wicket. A big shot around the corner? Shami is bowling extremely well. Merely one from it. SRH: 18/1 in 4 Overs. 8:16 IST: Warner is getting a little impatient as he is playing dot balls and is unable to find gaps. There seems to be an off-side trap for Warner. Three from the over. SRH: 17/1 in 3 Overs. 8:07 IST: Mujeeb brought in to bowl. It would be interesting to see the approach the two SRH openers adopt. Bairstow OUT, he looked to flick an overpitched ball only to go airborne as Ashwin completes a great catch. SRH: 14/1 in 2 Overs. 8:03 IST: Rajpoot starts proceedings with a WIDE. Three runs from the opening over. SRH: 3/0 in 1 Over. 7:58 IST: We are ready for action, the umpires are making their way out to the middle. WE. ARE. READY. 7:28 IST: Both players making their way into the middle for the all-important toss. KXIP win the toss and opt to field. For KXIP, it is a combination of failure in the pace bowling department as well as the lack of form of the middle-order that needs to be worked on and quickly. While Sam Curran and Mohammed Shami were brilliant in the game against the Delhi Capitals, they looked completely off-color in the last game against Chennai. In the batting department also, apart from KL Rahul and Sarfaraz Khan, the other batsmen have flattered to deceive. But luckily for them, they will be back on home conditions and the pacers will definitely get more help than what they got in Chennai. Batting wise too, it will be easier in Mohali as the ball will be coming onto the bat unlike in Chennai where one needs to force the pace. SRH skipper Bhuvneshwar Kumar will also hope that the faster pace of the wicket in Mohali will help his opening combination of David Warner and Jonny Bairstow. They had a rare failure on Saturday when Joseph sent them packing, but considering their desire to excel, they will come back roaring on Monday.